UPDATE: Funeral services for Tristan Banks will be held Saturday, Dec. 1, at 2 p.m. at Laurel Land Funeral Home and Memorial Park, 6000 S. R.L. Thornton Freeway in Dallas. An Irving man remains in custody today (Monday, Nov. 26) in the Irving City Jail in connection with the Nov. 21 shooting death of his former roommate. 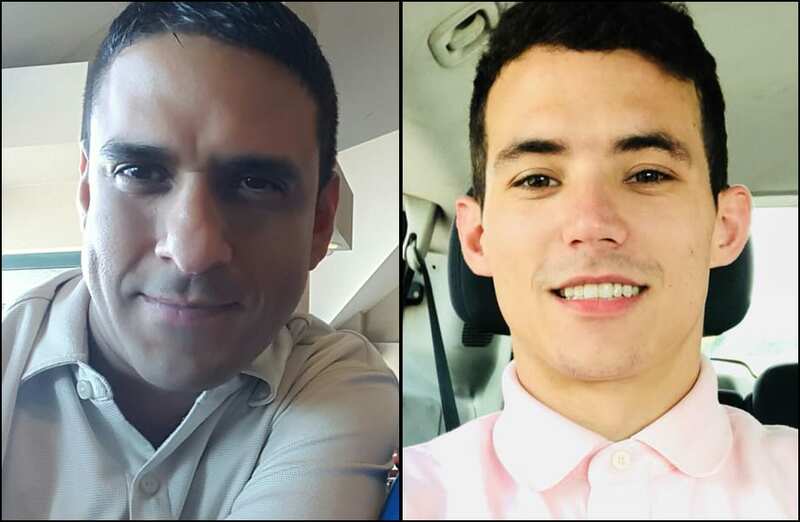 John Contreras, 40, has been charged with first-degree felony murder in the death of Tristan Banks, who self-identified as a bisexual man. Bond has been set at $1 million. Although Irving police continue to investigate the shooting, Irving PD’s media relations officer, James McLellan, said the incident apparently began as an argument that escalated to a physical altercation, ending with Contreras shooting Banks. “They were at one time at least roommates,” although it’s not clear whether the two had been more than just friends, McLellan said. The two had been out together at a restaurant and then went back to Contreras’ house in the 1600 block of Rusdell Street in south Irving, McLellan said. During the drive they got into an argument, and once they reached the house, the argument escalated into a physical altercation. Although investigators are still sorting out the chain of events, McLellan said Contreras claims that Banks was hitting him, and that he “retrieved a handgun he had in the house” and shot Banks in self defense. Banks’ sister has started a GoFundMe page to help pay for funeral expenses. As of 2:20 p.m. today, the page — at GoFundMe.com/tristan-banks — had raised $2,809 of its $5,000 goal. that is what we are praying for! Ashley: The Irving PD’s public information officer noted very plainly that the suspect “claimed” it was self defense and that the investigators have a lot of work left to do. how about you guys get both sides and not just the murders side of the story before you post this garbage!!! We get the information from the police department. Condolences and prayers to the family of Mr. Banks. I’m curious, why did Dallas Voice only print the sexual orientation of the victim? I must agree with Mr, Banks’ sister and empathize with her frustrations. Seems to me that balanced and fair reporting would include a statement from Mr. Banks’ family and not just “information from the police department.” Dallas Voice you must do better. Paul: The Voice’s post is based on information from the Irving Police Department, and from a source who was able to confirm that Mr. Banks identified as bisexual. We have not, so far, had any confirmation on how Contreras identifies. The Dallas Voice is the LGBT newspaper. We report on events and issues affecting our community and on the people in our community. Noting that Mr. Banks identified as a bisexual man explains the reason for Dallas Voice reporting on his murder. Since being an LGBT person is nothing to be ashamed of any way, there is no reason NOT to note that he identified as bi. Thank you for agreeing. I have spoke with Irving PD and they have assured me that all of this information is NOT from their report. I also want to make it clear that i understand the target audience for Dallas Voice is mainly for the LGBT community and I have never nor will i EVER have an issue with how my brother identified himself. I feel that where ever you received your information about his sexuality should have also mentioned John’s. Still…. I’m So Sorry….. I can’t forgive myself… We were supposed to be roommates… He told me He didn’t like his current situation.